Parents were Samuel Evan and Barbara Ferguson Francis. Ongoing post graduate work at San Miguel d’Allende in Mexico, Ohio State University, University of Utah and Chicago School of Design. Rell began his professional career as an art and English teacher, which extended to instructing art in Paris as a teacher at the European Art Academy. Served as Director of the Springville Art Museum and Director for City Spirit for the National Endowment of the Arts for Springville City. Proprietor for Heritage Prints, an antique photo reproduction shop in Provo, Utah. Restored the George Edward Anderson Collection of large glass plates and published a catalog for the collection. Authored “The Utah Photographs of George Edward Anderson,” published in 1979. The process he developed for this work helped spawn an increased interest in old photographs. Rell rediscovered and researched the work of long forgotten Utah sculptor, Cyrus E. Dallin, beginning an avalanche of interest in his work. In 1976 Rell published a book on the man and his work, “Cyrus E. Dallin: Let justice be done.” Dallin’s work is today honored and remembered. A museum of his work was established in Massachusetts. Rell served as a trustee of the Springville Museum of Art from 1958 – 1974 and as a trustee of the Springville Historical Society from 1975 – 1999. 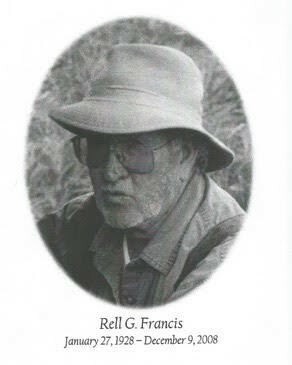 Rell received numerous photography awards over his life-time both in and outside of Utah. By Mark Reece, Staff Writer. Rell became involved in a long time search by the Pillsbury Family for the Lost Legacy of Arthur C. Pillsbury. Mr. Francis found a box of Pillsbury negatives, photos and documents left behind when the major part of the collection was picked up by the Archive Department for Brigham Young University. Francis was contacted by a representative of Ansel Adams, who was attempting through Steve Harrison, a part time employee of the NPS, to covertly acquire the collection. Read the documents at the link above. The story is revealing. Francis worked laboriously to identify the people and places in the photographs, traveling the same roads as Anderson had. Drawing from his interviews with old-timers, research in historical documents, and Anderson’s own diaries, Francis also wrote Anderson's biography and reintroduced his life’s work to an appreciative new audience through his 1979 book, The Utah Photographs of George Edward Anderson. Upon its publication, there was a featured exhibit of Francis's prints at the Amon Carter Museum of Western Art in Fort Worth, Texas. Thereafter, the Anderson prints were prominently included in traveling exhibits sponsored by the Smithsonian Institution and the Boston Museum of Fine Arts. Mr. Francis's prints of the Anderson plates were also featured in Popular Photography, and the story of their discovery in the National Geographic. Mr. Francis's collection also merited a special visit to Springville from the world-famous photographer, Richard Avedon, during the making of his renowned work, the American West. Upon Mr. Francis's retirement, Brigham Young University acquired the Anderson plates, which are now part of The Harold B. Lee Library Special Collections, and can be viewed online. And untold chapter of Rell's life included enthusiastically taking charge of a box of photos from the missing collection of Arthur C. Pillsbury. 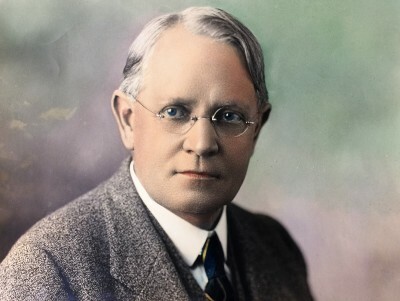 The missed connection here was his failure, due to the lies told to him by Steven D. Harrison of the National Park Service, who in his attempt to buy the collection, which he could not have afforded, ignored the claims of Pillsbury's youngest son, who had been making inquiries after the collection, sold without permission at his father's death for $100. Harrison waited years after the collection was discovered to even tell Pillsbury about its being found. Rell kindly provided his correspondence with Harrison to Pillsbury's grand-daughter, Melinda Pillsbury-Foster, who was at least able to obtain by purchase some copies of the collection which, if the family had been informed would have been placed at UCLA or Stanford. ​To be published in IMAGE Magazine's next issue and then appear here.